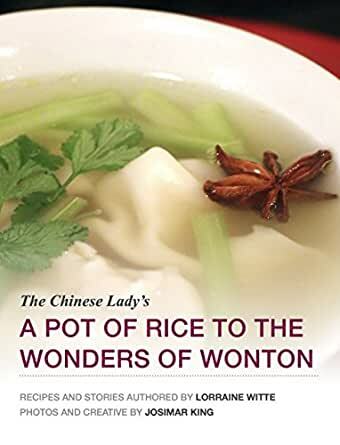 A Pot of Rice to the Wonders of Wonton - Kindle edition by Lorraine Witte, Josimar King. Cookbooks, Food & Wine Kindle eBooks @ Amazon.com. 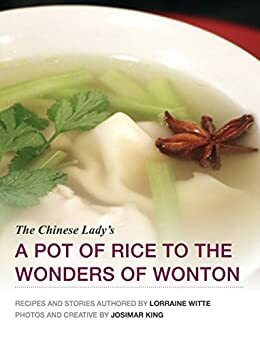 A Pot of Rice to the Wonders of Wonton is the world's first publication to exclusively feature recipes, photos and videos about wonton making. The Chinese Lady shares her Chinese-Hawaiian experiences which includes over 30 modern and diverse recipes, along with stories from her upbringing in Hawaii and California. Visit lorrainewitte.com for more details and other free recipes! Lorraine is a friend of mine and a wonderfully creative person. Food is a lifelong passion and she is a born teacher. She is also a great chef and this is a worthwhile and unique book!